Nicola took over from Stuart as Practice Manager in November 2017. Stuart wanted to concentrate more on growing the Large Animal side of the Practice and Nicola was keen to step up and accept the challenges that the role of Practice Manager creates. 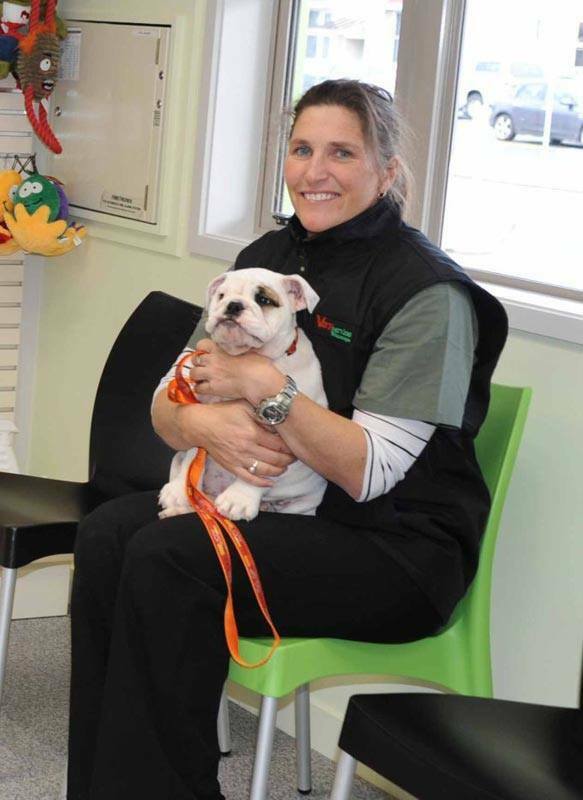 She has worked with the practice (formerly Chapel Street Vet Centre) since 2003. She grew up in the Far North on a mixed farm - sheep and dairy and finishing beef. She studying Veterinary Science at Massey University graduating in 1995. Following graduation she worked in dairy cattle practice in Taranaki for 2.5 years before moving to Upper Hutt and working in mixed practice for over 5 years. There were still a few dairy farms and beef farms in Upper Hutt then as well as an increasing number of life style blocks and pleasure horses. She made the move to Masterton in 2002 with her husband Nathan whose family has been present in the Wairarapa since the 1800's. Having done some of her student training with Stuart Bruere when he was at Farman and Bruere, she was keen to pursue a permanent position with his new practice on Chapel Street and so approached him about job opportunities. The rest as they say is history. Initially her job in the practice was equally shared between large animals and small animals but as the practice grew and vet numbers expanded she moved mainly into the companion animal side. Nicola still gets out on farm each year during the busy scanning season to help out with the cattle pregnancy diagnosis which she enjoys as a great change of pace and scenery. Nicola is particularly keen on companion animal medicine. Endocrine diseases such as diabetes and Cushings as well as canine reproduction are areas she is particularly interested in. Away from work she enjoys managing the stock on her lifestyle block and spending time with her 3 children. Stuart qualified from Massey University in 1979 and first practiced in Ruatoria for 3 years as an employee of the Gisborne Vet Club. In 1983 he shifted to the Wairarapa and practiced in partnership for a small 2 man practice for 14 years. In 1997 he established Chapel St Veterinary Centre (now Vet Services Wairarapa), his key objective for doing this was to establish a contemporary veterinary service for both rural and urban customers. Stuart's main responsibility in the practice is to service the farming community doing routine veterinary work such as pregnancy scanning cows, vasectomising rams, calving cows, attending to sick animals etc. He has a special interest in the investigation of trace element deficiencies of livestock and in recent years has enhanced the services of the clinic by providing consultancy services to farmers wanting full animal health plans. Stuart also contracts his services to commercial pharmaceutical companies to test new products on farm animals. He is married to Pam and has 4 children and 4 grandchildren. His interests are travel, cycling, golf, gardening and cricket watching. Jacques was born and raised in South Africa. In 1987 he qualified as a vet from the University of Pretoria and completed 2 years of military service after that. He then opened a mixed animal practice in the Western Cape, which he sold after 12 years, to move to New Zealand. 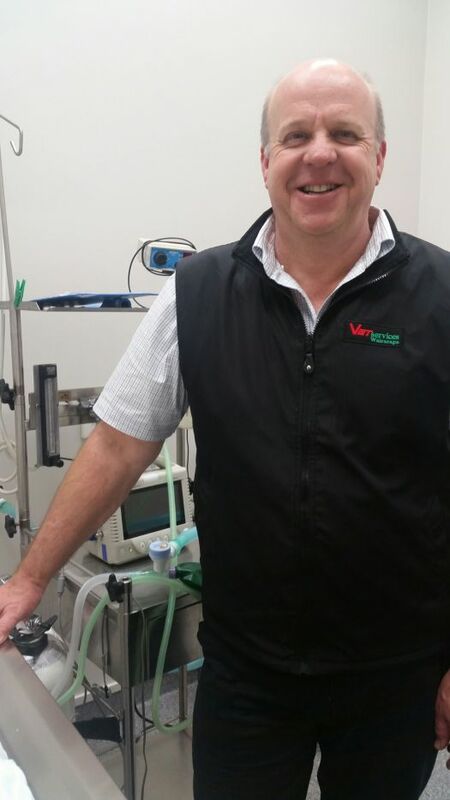 Jacques joined the Chapel St Vet Centre, now Vet Services Wairarapa, in September 2002 working mainly as a small animal vet with a special interest in Orthopedic surgery. He is married to Debbie and has 2 daughters, Kay-Anne and Nicki. When given the opportunity, Jacques enjoys either getting out tramping or going fishing. Sarah Wolland was raised on a dairy farm in the Taranaki, she graduated from Massey University in 2000. After her first job in dairy practice in the Waikato it was off to the UK to help with the foot and mouth outbreak. Staying on to locum around England for another couple of years. 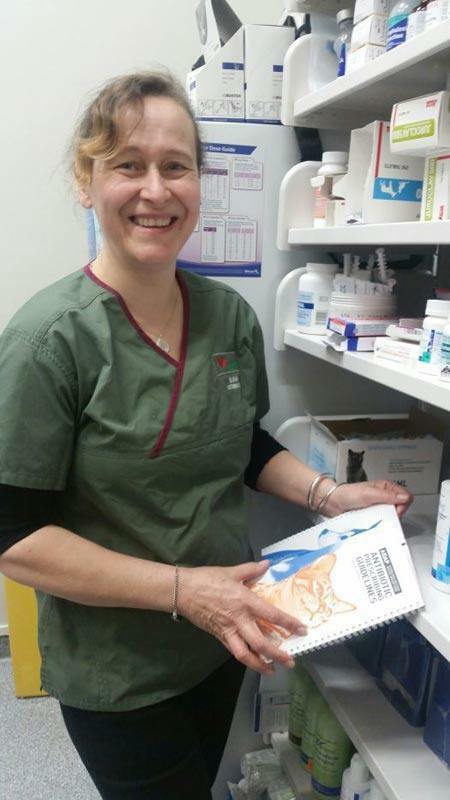 She moved to the Wairarapa with her husband Tim and been at Vet Services Wairarapa (formerly Chapel St Vets) since 2011 in mixed practice, but particularly enjoys the companion animal medical and surgical side of the practice. She enjoys running, cycling and keeping active with her three children. Louisa had a varied upbringing, including living overseas and also on a NZ milking goat farm. She qualified as a vet from Massey University in 2002. She then worked with Roy Farman in mixed practice in Masterton, before moving to England in 2004. She mostly did equine practice (with some companion animal) whilst there and realised that this is where her passion lies. Louisa completed further education in the equine sector, including doing her General Practitioner’s Certificate in Equine Practice through the European school of Veterinary Postgraduate Studies. Upon her return to NZ in 2011, she set up Wairarapa Equine, a dedicated horse only practice serving the lower North Island. This soon outgrew the single vet capacity and so was merged with Vet Services Wairarapa (formerly Chapel St Vets). 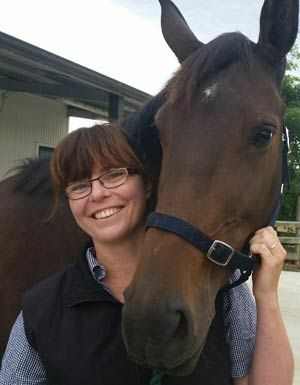 Louisa loves the challenges that the varied workload in the Wairarapa offers – whether it be happy hackers, elite performance horses or miniature donkeys! She spends most of her spare time either riding and training horses for competition (mostly eventing), renovating her house with her husband Dan or trying to keep their toddler out of trouble. Currently on maternity leave. Sara developed her passion for sheep health growing up on a sheep farm in Quebec, Canada. Before becoming a vet she worked as a shepherd in Canada, the US, and New Zealand, as well as visiting and working on sheep farms in Australia, the UK, France, Switzerland and Spain. She has worked with sheep in intensive and extensive situations, on large and small flocks, and on several dairy sheep farms. She gained a Master’s degree in sheep behaviour from the University of Guelph in Canada in 2006, and finished her veterinary degree at Massey University in New Zealand in 2010. She worked in Taumarunui for two years before moving to the Wairarapa, where she has been since 2012. Sara has a special interest in sheep parasites, lamb survival and causes of ill thrift in ewes. She loves getting her hands dirty – faecal egg counts and post mortems are favourite jobs. When not working she enjoys traveling, and has done volunteer work with donkeys and mules in Morocco for the British charity SPANA in 2012 and 2013. Currently on maternity leave. While talking to Sandy, it won’t take you long to figure that she’s not from around here. Born and raised in America, she had a sheltered, but wholesome start to life on a lifestyle farm. In 2005 she broke out of the bubble and studied for a year at Lincoln University as part of an Animal Science degree at Oregon State University. Life in New Zealand agreed with her, so she made it a permanent move and took up work on a dairy farm in Canterbury alongside her partner, Xavier. After a few years of dairy farming and other odd jobs, she went back to study towards her veterinary qualification at Massey University, qualifying in 2014. She took up the exciting, mixed-animal position at Vet Services (formerly Chapel Street Veterinary Clinic) in January 2015 and is loving the challenges and variety of sheep & beef farm work. Our lovely Head Nurse Deb has been with us from the very beginning. She hails from Masterton and started worked with Farman and Bruere and later moved to Chapel St Vets (now Vet Services Wairarapa). She enjoys all aspects of her job but particularly likes building relationships with clients. In her spare time, she trains her dressage mare Vegas, reading and also spends time developing her lifestyle block on the outskirts of Masterton. 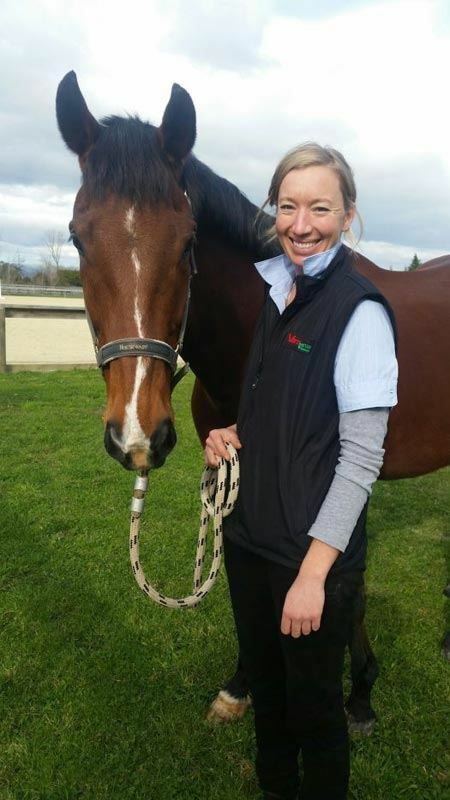 Fleur graduated from Massey University with a Diploma in Veterinary Nursing in 2010. She's a knowledgeable and caring nurse who really enjoys helping clients manage their pets health and well being. She particularly relishes the tricky aspects of long term case management and the challenges that this care can involve. She keeps busy when not at work with her young family and husband but when she gets free time (what is that with young kids?) she likes to cook and garden. 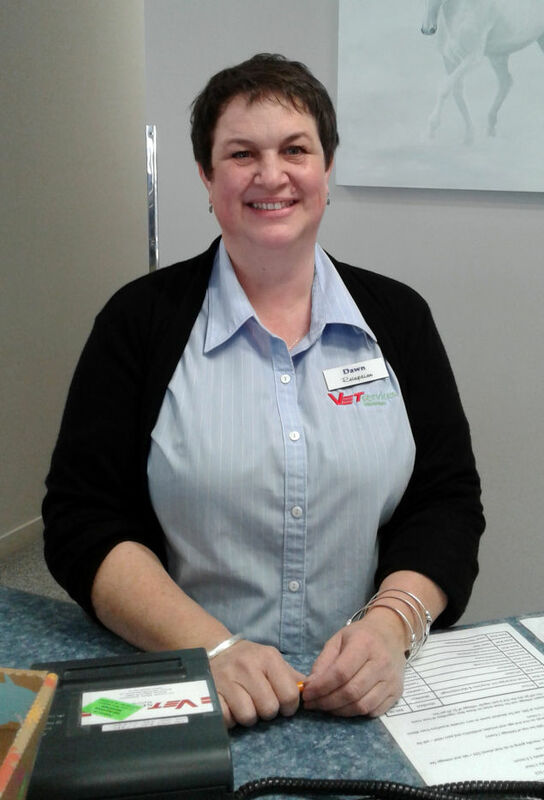 Sarah has been employed with us since 2012, starting at Chapel Street Vets and continuing on to Vet Services Wairarapa. She is born and bred locally in the Wairarapa, completing her secondary education at Wairarapa Collage. 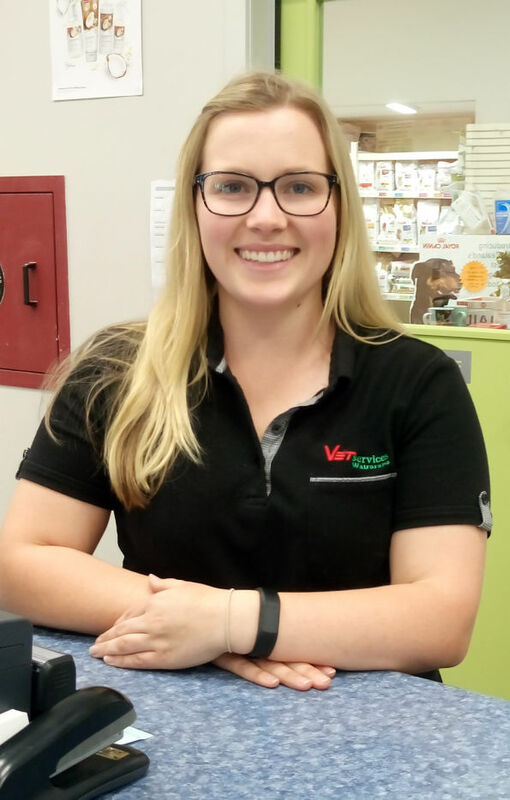 From there she moved to Invercargill where she spent 3 years working on a dairy farm, before shifting to Dunedin to complete her veterinary nursing studies at Otago Polytechnic. 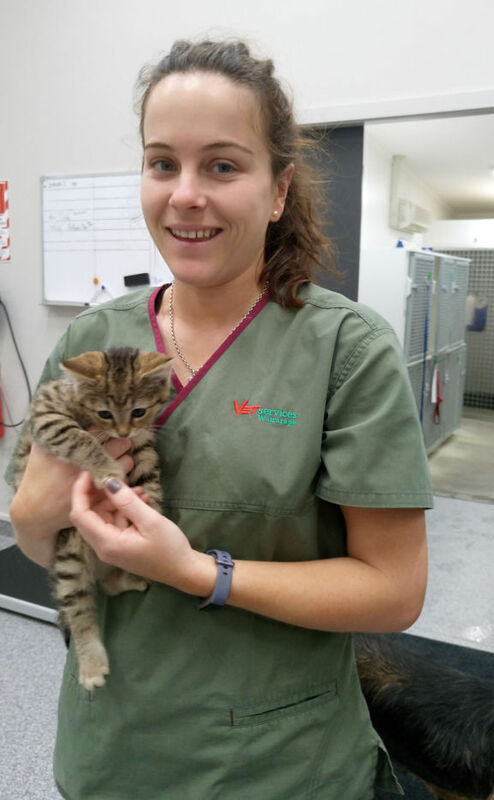 Sarah is an enthusiastic animal lover, who is keenly interested in small animal infectious disease cases and small animal paediatrics. At home she has Eddie, a 3 year old British Bulldog and two cats, Desmond and Ruby. Belinda moved to New Zealand from the UK 13 years ago and loves living here. After 2 decades working as a Biomedical Scientist she decided 8 years ago to follow her passion for animals and retrain as a vet nurse, a decision she has never regretted! Belinda has 3 children and 1 grandchild and many pets including dogs, cats, horses and chickens. 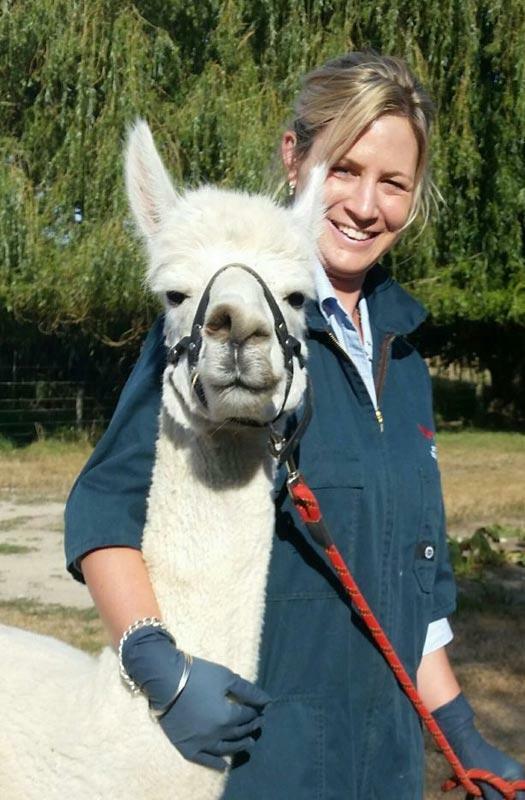 Kristy gained her Vet Nurse Diploma in 2014 from UCOL in Palmerston North. She comes from a farming background and a household with a variety of pets. She has her own dog Toby, a Japanese Spritz and a cat call Dobby. Kristy’s great passion is Hockey which she plays at a competitive level. Justine is our resident groomer, working on Tuesday’s and Wednesday’s. She has had 13 years experience in the veterinary field doing a bit of everything from vet nursing, reception and of course grooming. Justine lives on a lifestyle block which she has managed to fill with a variety of animals and is a keen horse rider in her spare time. Amber comes from a small town in Mid Canterbury. She moved to the Wairarapa in 2011. She has a BSc from Canterbury University. In her spare time she plays netball and goes tramping in the Tararuas. She has a young son and daughter and spends time at home with them when she is not working. 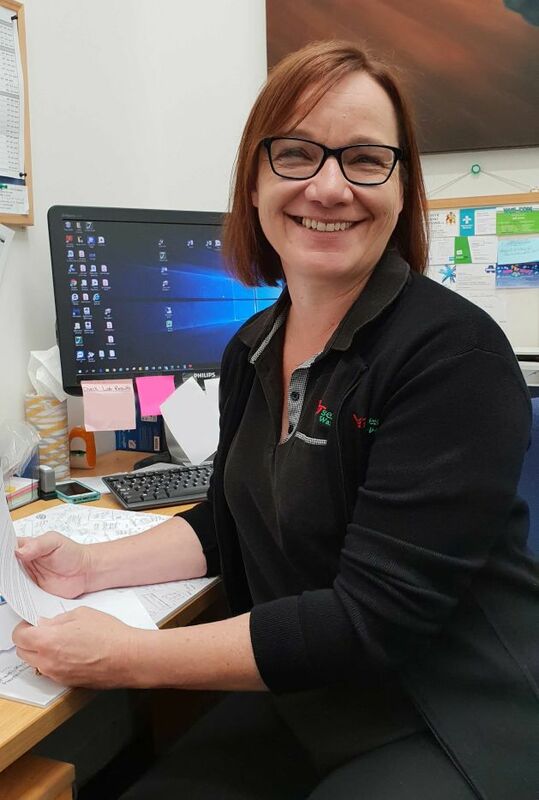 Her role at Vet Services is as one of our reception staff so expect to see her when you come into the clinic or hear her friendly voice if you give us a phone call. Dawn moved to the Wairarapa 10 years ago from Whangarei. 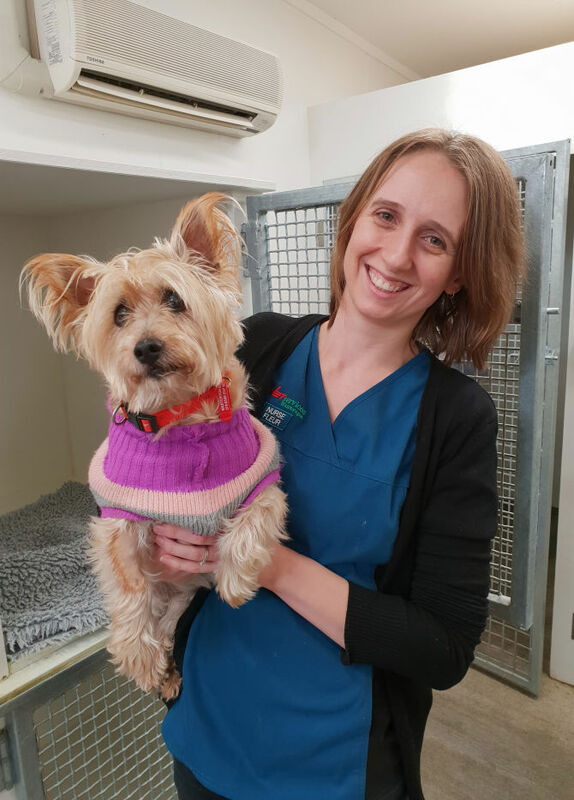 She has had 11 years experience working in vet clinics and her main role with us is receptionist, she is that smiley face who greets you either on the phone or when you arrive in the clinic. Dawn enjoys the variety this position offers. She has a daughter who is currently studying at university and any spare time Dawn may have is spent reading or enjoying the outdoors. 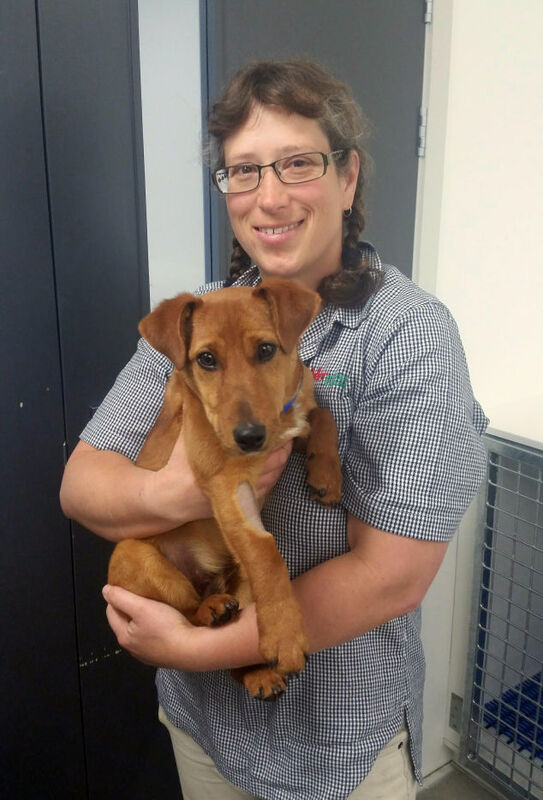 Mel started working for the clinic in Dec 2001 as a kennel hand, moving into vet nursing, and is now in the office as admin support & purchaser. In her down time she can be found at the hockey turf supporting the kids, or at home on the farm. 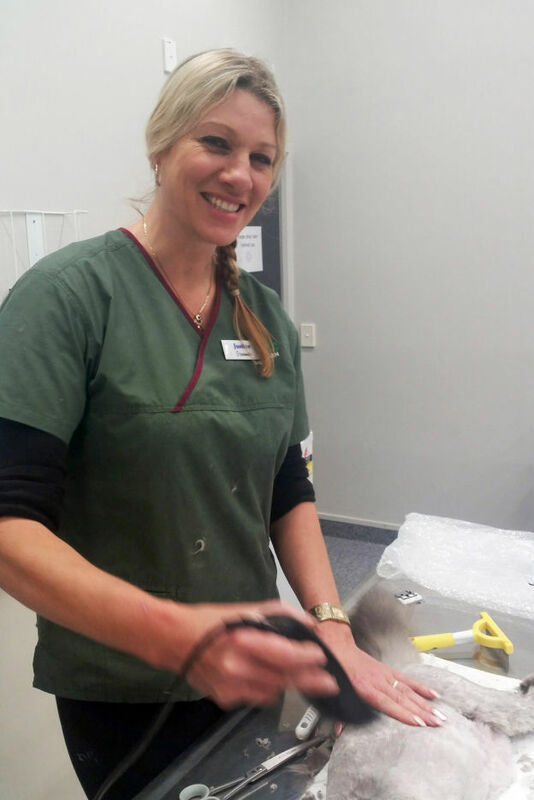 Emma joined the Vet Services Wairarapa team in June with the opening of the new clinic. She has two National Certificates in Business Administration and Computing and a background in the administration field. Emma is looking forward to new challenges and is enjoying being part of the team. Kirsten grew up on an Angus stud in the Manawatu. She completed her veterinary nursing diploma in 2012. Since then she has found her passion is in retail. She moved to the Wairarapa in 2017 after her partner got a job on a farm in the area and she transferred from our Vet Services Napier branch. Kirsten is currently covering our large animal retail section, she has a wide knowledge of all products available and experienced in farming practises. In her down time she loves being outdoors with her partner and their many dogs. 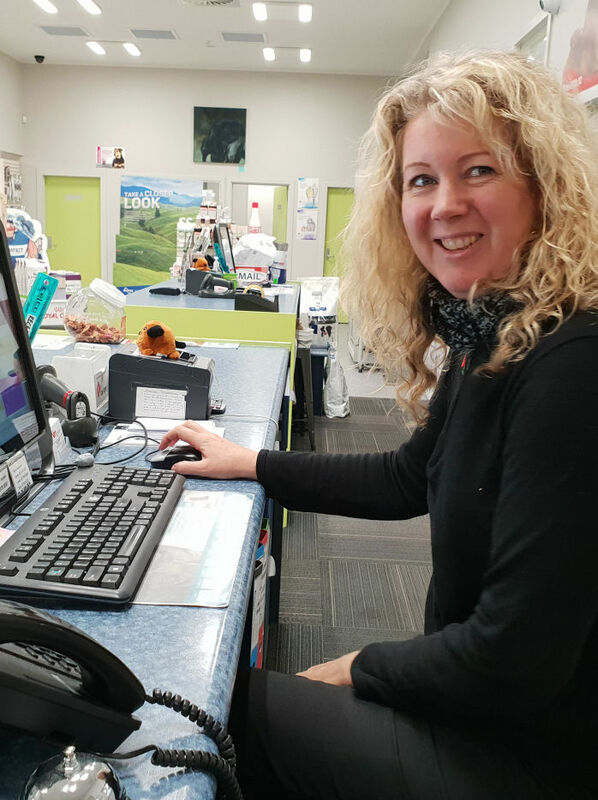 Kate Southey, the new Retail Manager at Vet Services Wairarapa, grew up in the Wairarapa, attended Wairarapa College, and went on to graduate from Lincoln University in 2008. 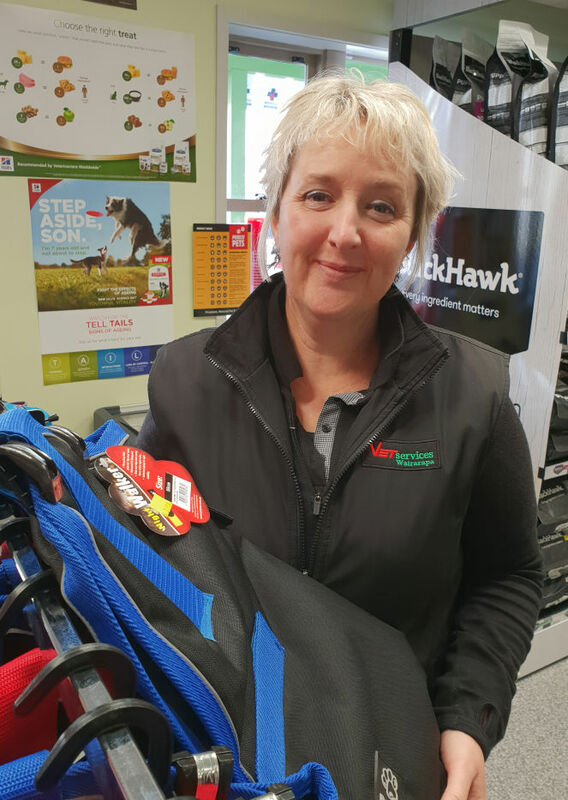 Throughout her travels she has worked at both the Masterton and Taihape Farmlands branches & for the past three years has worked for Masterpet, covering the territory between the Wairarapa through to Gisborne. This was promoting Eukanuba and Iams into vet clinics and pet stores. Kate lives locally in the Wainuioru district on her husband's family sheep & Beef farm, Glenlean & Atea. She has a strong passion for farming and rural industries and loves the outdoors. Kate is an avid and keen participant in the equestrian and hockey scene so this is usually where you will find her at the weekend.